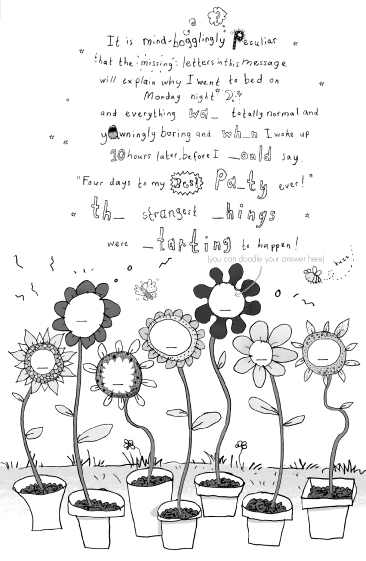 IF YOU LIKE PARTIES, SECRETS, RIDDLES, AND LADYBIRDS THIS COULD BE THE BOOK FOR YOU. CONTAINS MORSE CODE! 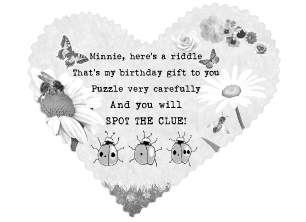 Minnie is planning her best birthday ever when a string of riddles sets her off on a birthday treasure hunt. This is my puzzling party invite! I handed it out yesterday and all my friends are secretly excited but… I’m not the only one sending out puzzles because this has just arrived in the post! It is handmade and someone has cut out two pink hearts and glued them together about the edges to make an envelope. And it is totally peculiar because I never get post, except on my my birthday (which is next Monday). But I’m not supposed to save it till then because this is what it says on the back… OPEN TUESDAY! “What does that mean?” I gasp, showing it to Dad. And this is no-time-for-reading annoying, and I have to stuff the riddle into my pocket and leg it to the corner of Arthurs Way. I get there three seconds before the bus, but this is perfect because Trevor and Tiffany are waiting too and more than three seconds with the Terrible Ts is definitely too much! I’ve been desperate to catch the bus for weeks because then I can go to school with Frankie, and now Mum has had to agree as, after zillions of hints, she’s finally making me a new bedroom. She’s got a week off work and wants to decorate it ASAP so it’s out of the way before my birthday. Then she can concentrate on my top-secret party. And all this means she’s HUMUNGOUSLY busy and has no time for morning walks! 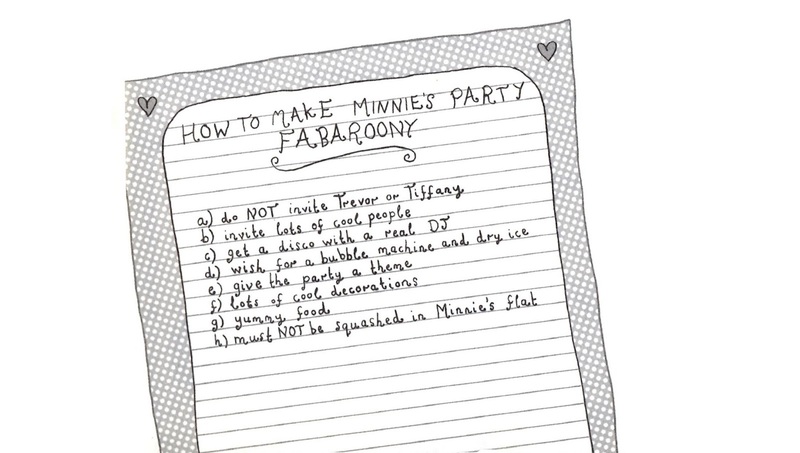 “Are you going to give me another party clue?” she grins. “Fabiozo!” she giggles. “It’s going to be the best party ever. Frankie says the first point is extra important because Trevor would pick his nose (and the crisps) and Tiffany would be in charge of everything and it would be especially awful instead of specially brilliant. But this means I have to be mind-bogglingly clever if I am ever going to get to Saturday without them finding out. So I huff on the window and doodle DJ. “Have!” says Tiff. 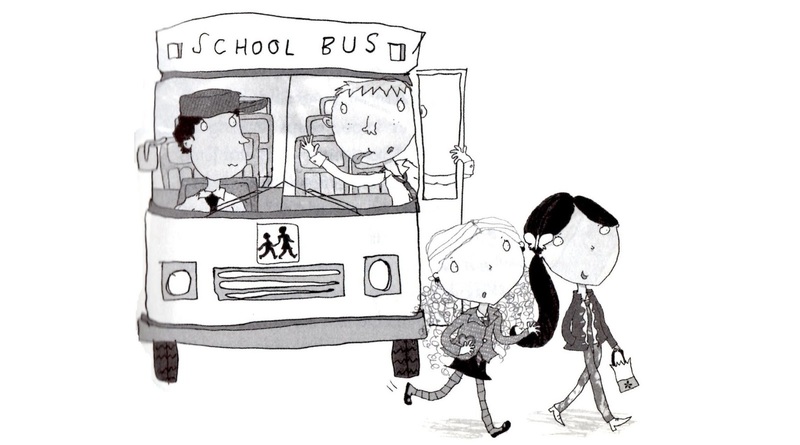 And she totters off to tell the entire bus I love the drippiest boy on the whole of the planet. And my cheeks go hot because secretly I quite like Kevin. But I am suddenly panicking, what if my riddle IS a love letter… and it’s actually from him?! I decide I must tell Frankie about my riddle NOW! And I have just whispered, “Frankie, guess what?” when… GUESS WHAT? The driver tells Trevor to sit down and, as Tiffany’s busy spreading rumours, he lollops behind me in her empty seat. And the thought of eating something green is enough to turn Trevor’s stomach and he disappears to the back seats to squeeze in with Abhi and Jasen. “OK,” I grin and we do our sums and mathematically-brilliantly it is only 106 hours and 5 minutes! 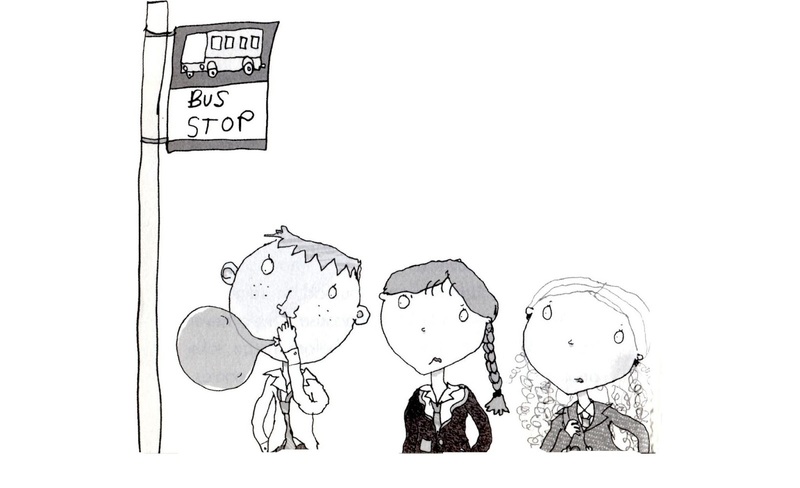 But my bus trip is annoyingly much shorter and we have got to school before I can tell Frankie about my riddle.